Condos and apartments share plumbing and drain lines. Living in a condo or apartment is community living. You may not know your neighbors on all sides, but you share walls and you share plumbing. Each unit usually has its own hot water heater, but the water supply is shared by the building. Drain lines are shared by the building as well. When you experience a clog in the kitchen sink, a plumber will clear the clog and make sure the water is running freely. But he cannot complete the work without testing the drain lines below your unit. He must be certain that a clog pushed downstream does not become someone else’s problem. This is why Raymark requests access to other units. 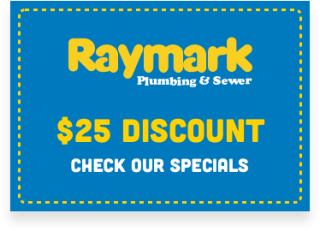 Raymark’s plumber will run water in the downstairs units to ensure the clog flowed all the way through the drain system and did not get hung up in other drain lines along the way. It may be a hassle for you to communicate with your neighbors and determine the best date for a plumber to visit, but it is imperative that a clog is completely cleared in all units. The worst experiences are the ones out of our control. For example, the upstairs neighbor’s dishwasher leaked into my living room. She noticed some water on the floor, but didn’t think it went any further than her kitchen floor. In fact, leaks in condos and apartments can easily impact more than one unit. And many times, the owner of the leak’s source is unaware of the problem. When you as the downstairs owner call Raymark to investigate the source of a ceiling leak, we need access to the units above. In one case, we found an outside deck was leaking horizontally into a non-adjacent unit. The deck was tilted at an angle that made the water from watering plants travel along the top of several units and then down into a unit far from the one where the water originated. Access to the other units was crucial to finding the source of this leak. This is also a good way to meet your neighbors. Trust is critical when someone unknown is in your home. Raymark has been in business in Seattle for over 40 years. Our employees are honest, trustworthy, and professional. Find your plumber or technician on the About Us page of our website. 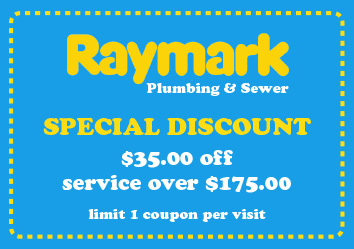 Raymark is happy to help you resolve problems with clogs, leaks, and all of your plumbing and sewer needs. Call us today at 206-430-1954.